In order to create a brand, you would need something unique, to allow your customers to identify you without a single doubt. Whether it is a product or a service you offer, having a professional logo means that you are planning to create a first step towards establishing a trusted brand everyone will choose, after enough recognition. To create a logo, you would most likely have to have some basic knowledge about working with programs, such as Adobe Photoshop, Corel Photo –Paint or GIMP. Not all of the prospective business owners know how to use these, but luckily, there is a much easier way to get yourself a smooth logo, without having these skills. A completely unique way to create a logo within a few minutes is offered by DesignApp, a web logo creating app, which comes with a fully customizable interface, broken down to the mere basics, for easier handling. A single, secure payment of 29.99$, via PayPal can easily shorten your way to a logo, worthy of the best logo designer you could hire. You will get to work on the smallest details of your future logo, having an opportunity to access quite a few advanced logo design features, such as the ability to add pre-made templates, made by professionals of the industry, or make your very own from scratch. To ease your search for the perfect one, you can browse the available template database by industry. 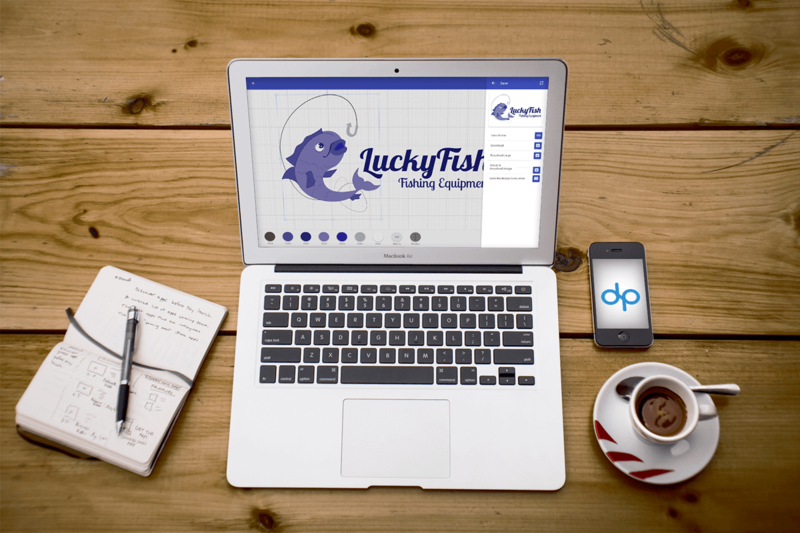 This logo maker has much more in store for you than simply allowing you to grab random templates and mesh them together into a logo. If you want, you can also add text, and with over 700 available fonts, you will have no problem customizing it to your particular needs. Changing the size of the text is also done in a few seconds, and to make the logo come to life, you can experiment with colors and different options, with more than just a few basic colors available. In fact, you will be able to choose from a wide array of different shades, or you can simply access the color palette and create the perfect color for your logo. Additionally, many more graphic options are available, to further empower the message your logo will be sending. Everything you can see in the logo creator editor is subject to change. You can easily rotate, resize and move any element you chose to add, to place it into a position you find the most convenient. In order to access the features and start making your first logo, you would need to create an account. You simply need to input your e-mail address, choose a username and a password, before you can start browsing through the contributions of the graphic design community. If you can create a unique logo from scratch, you can even upload it and sell it through the site, making a profit from your sales. 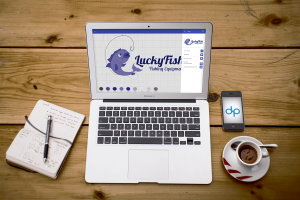 Overall, whether you are an aspiring logo designer, looking to be discovered, or a future business owner in pursuit of a professional logo, this nifty app will sure come in handy.